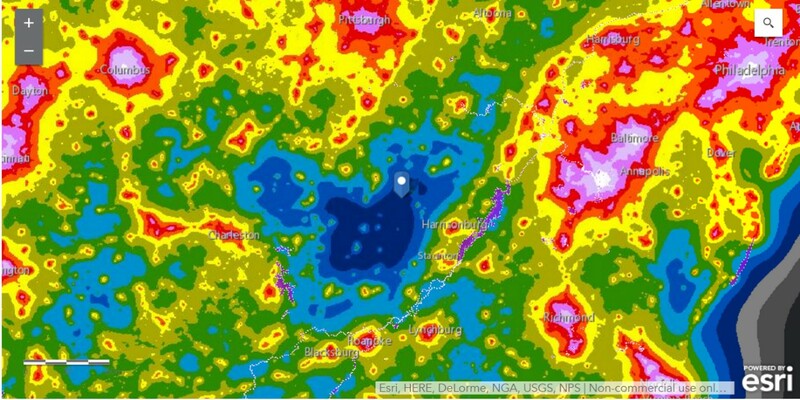 The new world atlas of artificial night sky brightness was published June 10, 2016 by Falchi, et al. The dynamic map produced by this study can be found here. It shows that Spruce Knob continues to be in the darkest area of the mid-Atlantic region.